XM [read review] is giving out $300 free with no deposit required! 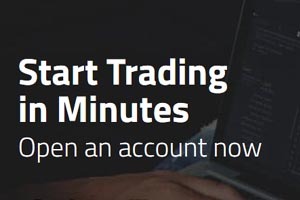 All you have to do is predict the correct closing price of the EUR/USD this week, and if you`re right a $300 bonus will be credited straight to your MT4 account. All predictions must be posted on the XE Markets Facebook page by 13:00 GMT on Friday, April 19. Each user is allowed one prediction. To enter, just visit XM [read review] and make your prediction! Canadian online trading customers are welcome. Sign up today!